You will Watch One Piece Episode 471 English Dubbed online for free episodes with HQ / high quality. Stream anime One Piece Season 14 Episode 13 The Extermination Strategy in Action! The Power of the Pacifistas! 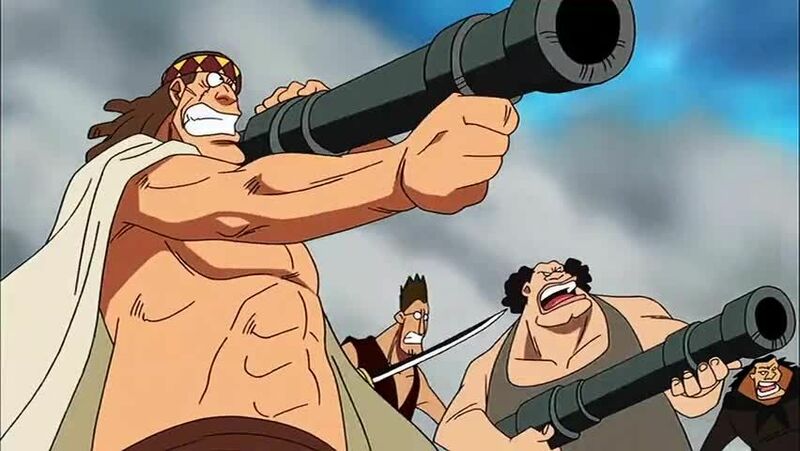 The Pacifistas approach from behind, defeating the Whitebeard Pirates in their path, but the plan is not fully effective because of Whitebeard’s attacking the ships at the sides. The Marines withdraw to the plaza, intending to raise the fortification wall and execute Ace before finishing off the Whitebeard Pirates, and Luffy and the division leaders rush to reach Ace before then. Sengoku orders all the Transponder Snail to stop broadcasting, but the one Buggy stole continues to broadcast images of the war as he tries to make himself famous. Squard, one of Whitebeard’s pirate allies who had been missing for some time, stabs Whitebeard through the chest with his sword.